Home Uncategories The Voice of the Turtle, Episode 67: We traded J.D. Martinez for that?! The Detroit Tigers are officially in "sell mode" now, and we don't have to wonder about the approach they'll be taking at the trade deadline. The news broke Tuesday night that J.D. Martinez had been traded to the Arizona Diamondbacks for three infield prospects, Dawel Lugo, Sergio Alcantara, and Jose King -- none of whom are on anyone's Top 100 Prospects list. Needless to say, Tigers fans are furious. But we're only just getting started! There's still Justin Wilson and maybe even Alex Avila to be traded! 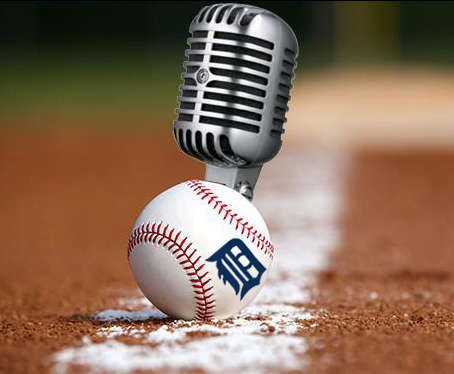 Chris Brown of TigsTown.com and Brian Sakowski of Perfect Game USA join The Voice of the Turtle for this episode to break down the Martinez trade and evaluate exactly what the Tigers got. (Spoiler: they're most excited about Jose King.) What are some foreseeable outcomes for these prospects? Will they ever make it to Detroit? Will they be any good? Did Al Avila get completely fleeced? The guys also take a look at the farm systems of the Astros, Nationals, and Cubs (all teams that have been linked to either Justin Wilson or Alex Avila) and discuss what type of prospect return would be reasonable to expect from those clubs in exchange for the trade chips we have left. - Did Al Avila just get schooled by the Diamondbacks? - Why didn't the Tigers wait longer to trade J.D. Martinez? - Dawel Lugo and the meaning of "meh"
- Why do the Tigers like Jose King? - How long is this rebuild going to take? - Why is the Tigers farm system still ranked so low?